Mai has been in the Financial Services since 1998. She focuses on helping business owners and corporate individuals with their asset and risk management, retirement strategies, estate strategies and business succession strategies. Mai uses her knowledge and expertise, in combination with the expertise of a team of specialists available through Tax and Financial Group (TFG), to assist her clients with their financial needs. 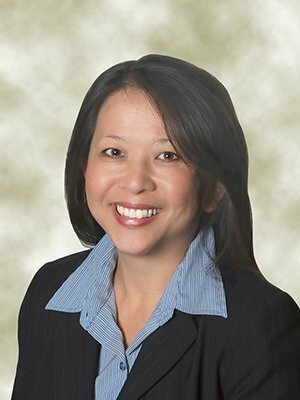 Mai's philosophy is a commitment to excellence and a desire to serve her clients to achieve their financial goals through education, discussion and a core belief to do what is right for the client(s). Prior to joining TFG in 2007, Mai was with with John Hancock, Sagemark Consulting and Pacific Advisors. Mai is a graduate of the University of California, Irvine. She is Life and Health Insurance licensed and is an Investment Advisor Representative and Registered Representative of Securian Financial Services Inc, member FINRA/SIPC. She is a volunteer for TFG's "We Care For Kids" annual event which raises funds for terminally ill children of the Make-A-Wish of Orange County and Inland Empire. She is also a member of the WISE (Women's Interactive Sales Exchange), a nation-wide financial services organization. Mai believes in strong family values. She currently lives in Fountain Valley with her husband, Long and their two kids, Michael and Samantha. In her spare time, Mai volunteers with the city basketball league and helps with her church fundraising events. She enjoys cooking and entertaining for her friends and family.